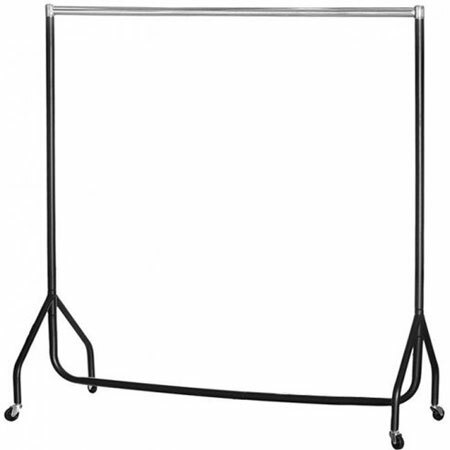 R16/BC Heavy Duty Junior Clothes Rail chrome plated top rail and all black powder coated finish. 4' (1220mm) wide x 4' (1220mm) high. Ideal for children's clothing, skirts or tops, etc. All black powder coated finish frame and chrome plated rail.